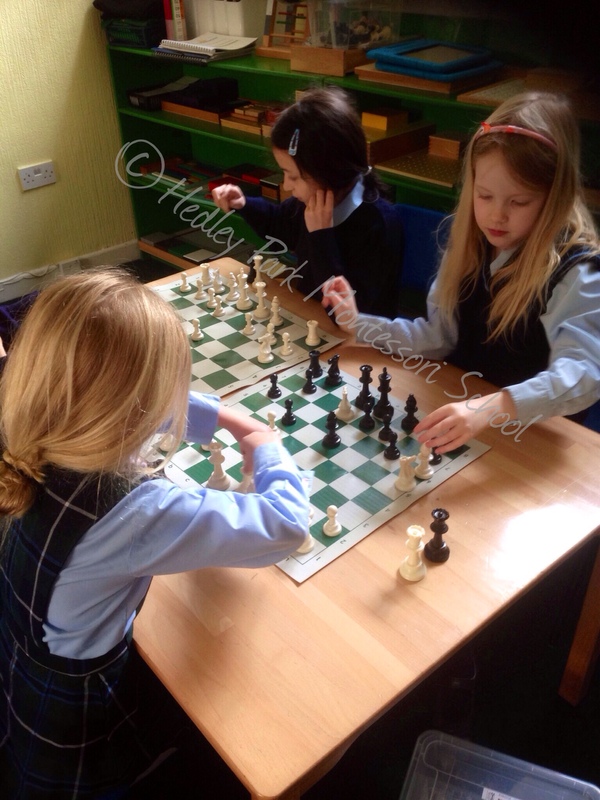 Royalty, Arrivals, Saints & Chess-players! What a time we’ve had! At the end of January we celebrated Chinese New Year. We welcomed the year of the horse with great ceremony and fun! A royal court was held with an Emperor and Empress in attendance, there was an entry procession and then the feasting began. We have been learning lots about Chinese history and culture in our weekly Mandarin lessons with Evan so we all knew the correct way to greet our royal visitors. We tucked into a great menu of delights and everyone tried something new and tasty. 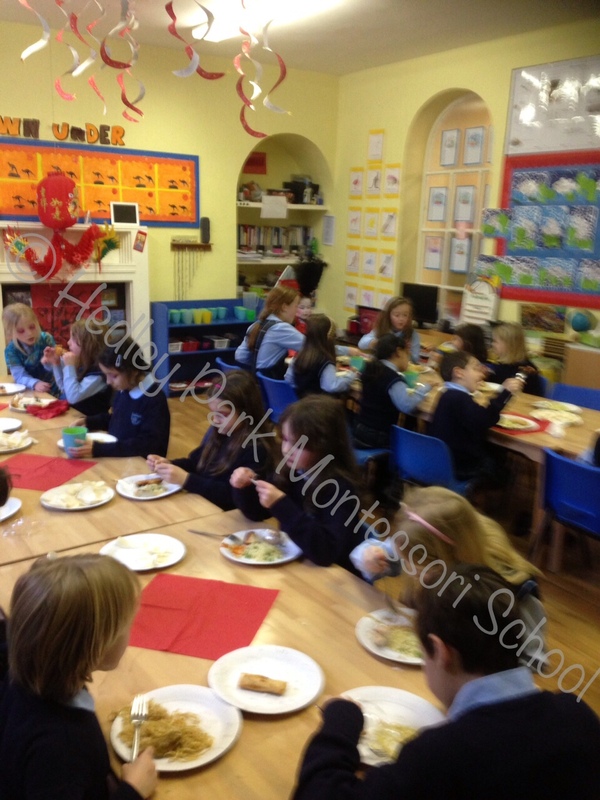 Community meals are a great time for children to model good food choices and correct table manners to their peers. We are always delighted to see our children striving to try new foods and share the pleasant experience with their school. Soon after our celebrations came a sad day when we said “good luck” to our lovely teacher Katie, as she spent her last day with us for a while. We are pleased to report she has since given birth to the gorgeous Maximilian. 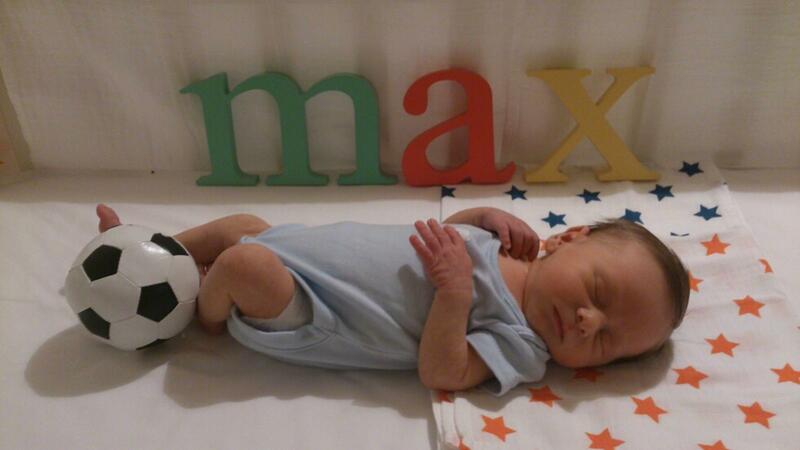 We are delighted to welcome Claudio and Katie’s beautiful son to the Hedley family! So lets talk about the work we’ve been doing! The senior class have been super busy! They finished off their planetarium in the skylight of their classroom, it was a wonderful art and science feat and was enjoyed by all. Getting sticky and messy with art is always a hit no matter how old you are! Our projects were on display this month too, we all had a chance to make a presentation (which was videoed on the ipads, and which we are making available for parents) The public speaking experience is very important in this age group, teaching others in the community what we have learned, increases self esteem and confidence in our own ability as learners. Positive feedback and support from the learning community makes learning an exciting experience, these affirmative seeds planted within our students stay with them through their learning lifetime. Using our Interactive White Board. Lots of new experiences came our way in the senior class, we began our Chess Club, led by our chess master we have all been learning the pieces and plays and soon we will be champions ourselves. Chess is a fantastic training for strategic thinking and logical decision making skills which will stand us good stead. Also its great fun and everyone is enjoying pushing themselves to learn more and practice at break times. 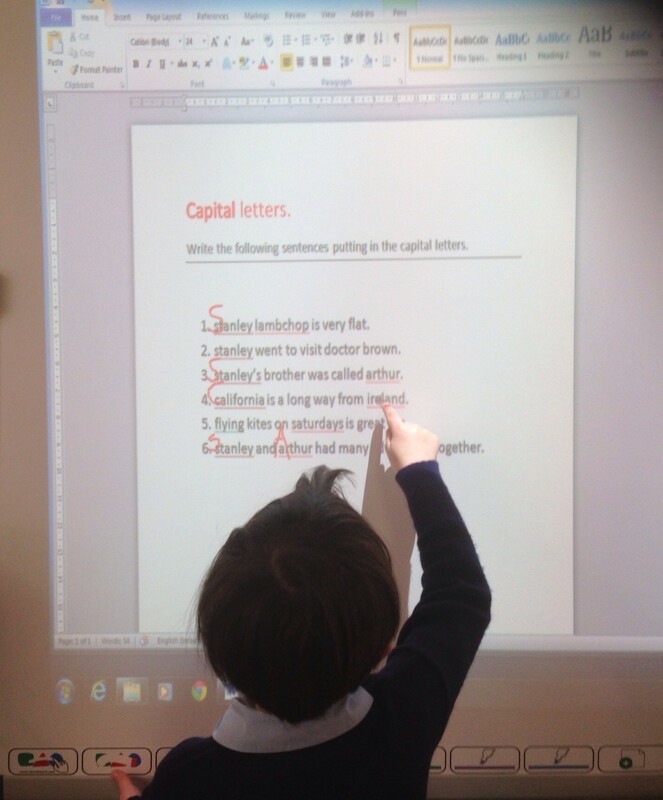 Another addition to the classroom has been our interactive whiteboard and new class pc. It’s lots of fun, and we are adding elements of it to much of our independent study. From the touchscreen writing, hands on fraction manipulatives to complement our Montessori materials, to the fascination of Google maps and street view. We have wandered the boulevards of Paris and the Pyramids of Giza. 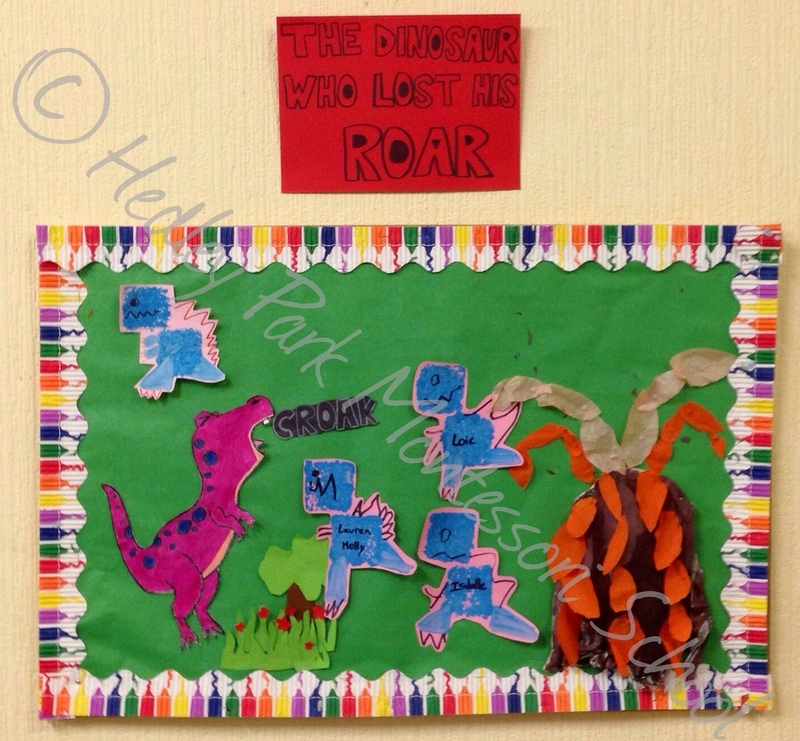 In the Junior class the children have been working hard on their mythology, history and folklore of Ireland. 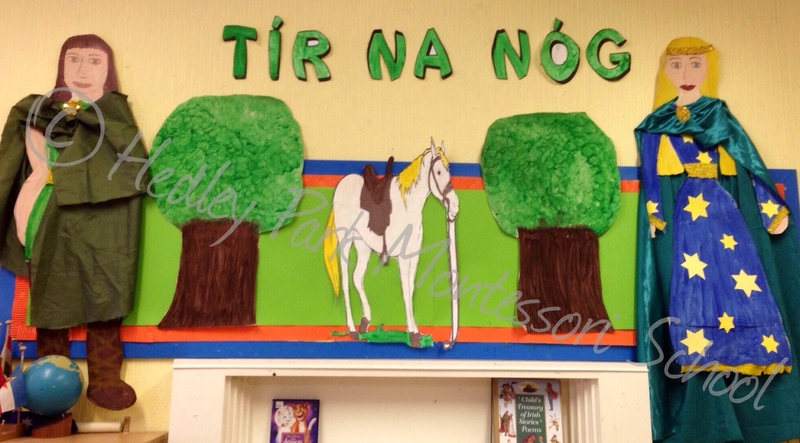 Tir na Nog being our anchor tale for the season that is in it. Folklore and Fairytale are a super way for our young learners to learn sequencing and memory skills. Hearing stories and repeating the sequence is an excellent early history and math skill. Of course we have also been getting stuck into group and individual art on the story and we think you will agree they are fantastic to look at. A study in yellow! The Buttercup! Spring has most certainly sprung in the Junior class with our talk of snowdrops, buttercups, spring lambs, cuckoos, and frogs! It’s a riot of spring colours. Personally I love the personal art interpretations of a buttercup and using wonderful art techniques individual to each child. 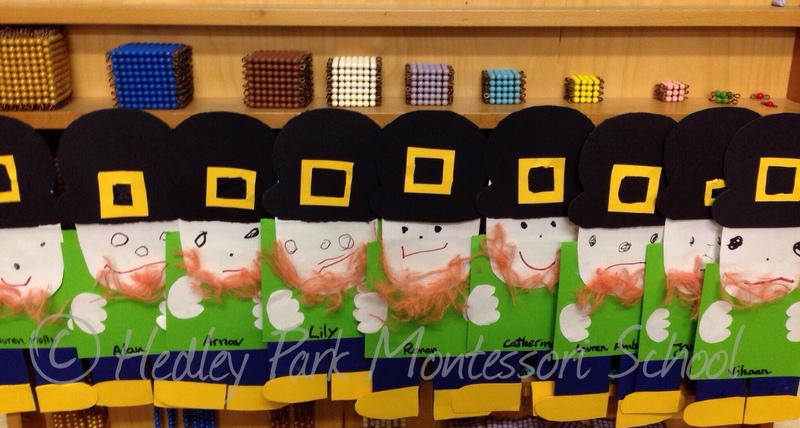 In the Nursery class we have been getting ready for St Patrick’s Day by making leprechauns and talking about what to see in the parade. We often try out our own parading skills at break time and you can be sure everyone joins in! Little Leprechauns in a row! and Magna love books too and we get so many fantastic stories in the class. We have read lots in our exploration of the polar regions, and our vocabulary is really expanding with all the new words and phrases we hear. Exposure to a wide vocabulary is of utmost importance at this stage and our teachers are so aware of this. Stories, poems, songs and new words introduced daily really concrete our natural inclination towards acquiring new language skills. Of course the love of books and stories only grows in Hedley Park, which is why we loved our celebrations for World Book Day. 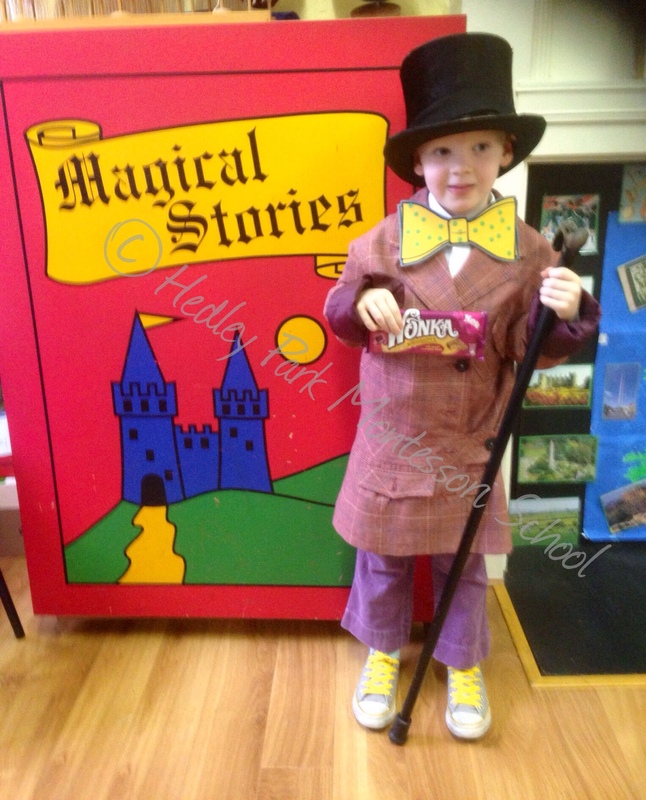 We had a whimsical day as everyone came dressed as his or her favourite character from a story or book they had read. We had a great book sale on the day too, so we could find a new character to inspire and delight us further. Book day is a wonderful family experience as all our parents come in that morning and we have some uninterrupted enjoyment of all the lovely books on display. 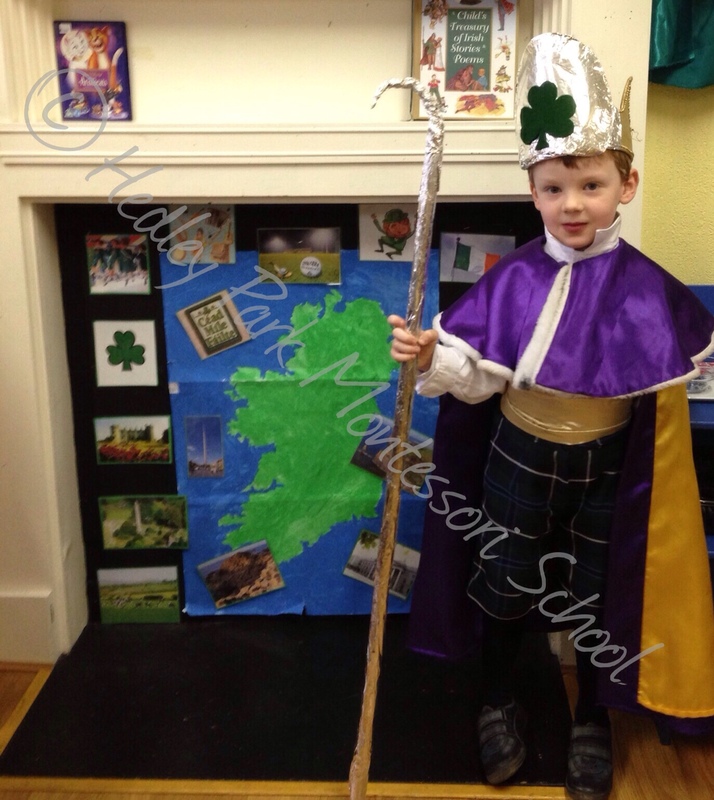 our own St Patrick in Merrion Square, this year we were hunting our old friend Larry the Leprechaun who had been up to his old tricks and leaving a big green mess all over the school. (You can see for yourself in the slideshow below) We went to find him and send him on his way home, but only after he paid for the mess he made in yummy gold chocolate coins! So you can see that we have been very busy indeed, thankfully we also had our midterm break in there too, so we have had some rest. But one of the most exciting events is still to come, it has been rumoured that we may be getting a hatchery in the Senior classroom. Our very own Hedley Chicks! The Senior class have been busy learning about the life cycle and care of chicks so that they can be prepared for our new arrivals. We can not wait to tell you all about them next time! Thanks for reading and be sure to share our new with friends and family. Lots of love, the students and staff of Hedley Park.